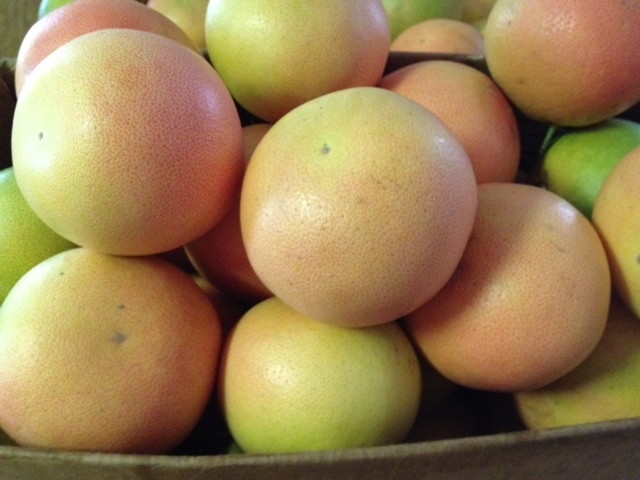 A couple of weeks ago, a friend of mine brought several boxes of pink grapefruit to my house.Yes, boxes! I thanked him, because produce is not cheap...especially in the winter months. When he left, it hit me...my Breville juicer doesn't squeeze citrus...I would have to remove the rinds by hand. Did I mention he brought several boxes of grapefruit? Oh yeah. I did. So what did I do? 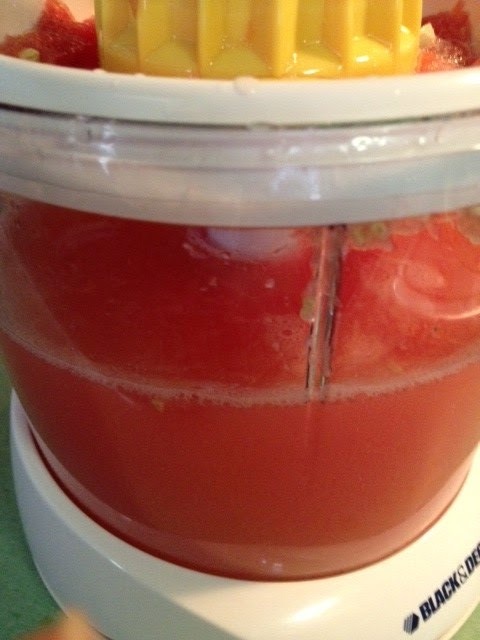 I logged onto eBay, purchased a Black & Decker electric citrus juicer for $21 plus free shipping (prayed that it worked), received it just as all of them were turning pink and juiced away. Take a peek inside my fridge! I used every container possible. I only own 2 pitchers! HaHaHa And BTW, pink grapefruit juice mixed with orange juice tastes really good :). This has been my everyday foundation, since purchasing it in August. I like it. It's liquid, lightweight, in a pump and provides medium coverage. If you don't have major scarring, it will provide complete coverage. I didn't use concealer in the pictures below. May I suggest that you don't purchase it online the FIRST time. 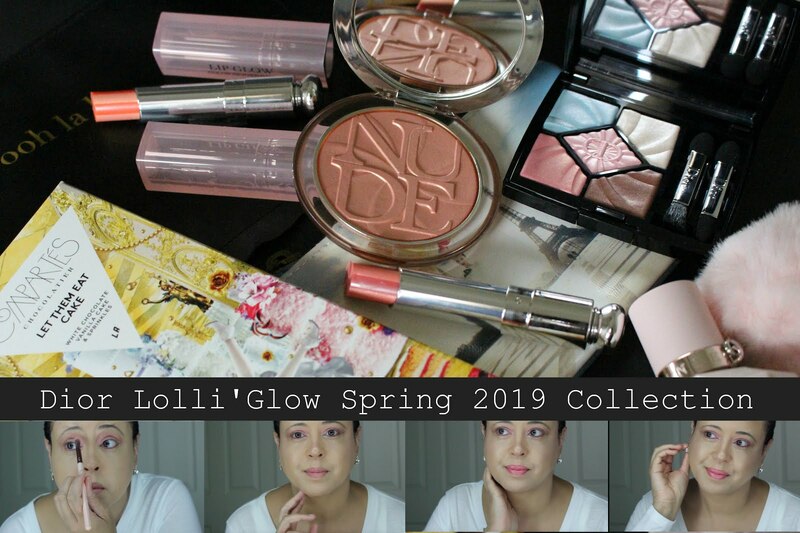 There are 12 shades to choose from and it would be better if you went to the store to match your shade with your complexion. This foundation costs $38, but a little goes a long way. You can purchase a brush with it. I didn't. Do you guys like to use a brush with your liquid foundation? I purchased this because Thandie Newton said it was "in her bag" when featured in a fashion magazine. I figured it had to work! Thandie wouldn't lie to us! HaHaHa Bottom line it does work and it does stay on all day without smudging. The issue is your personal eyeliner technique. Are you an expert or novice? I'm a novice. Liquid eyeliner can be tricky! This has a very fine tip that goes on super pencil thin (great for lower lashes) and if you want a thicker line you have to angle it. Trust me, I doused a couple of q-tips with makeup remover to erase any mistakes. HaHaHa I brightened the picture below, so you could see the precision of this eyeliner. Have a Great Weekend Everybody! First again! Yay! I love grapefruit but have never had grapefruit juice! I just ordered a still eyeshadow/eyeliner/primer pen in kitten and can't wait to try it! That foundation looks good - and I'm not really a 'foundation-wearing-girl' as I find most of them simply "too much". Great blog! Love the design. You look soooooooooooooooooo sweet and beautiful!!! Loved your make-up reviews as always. 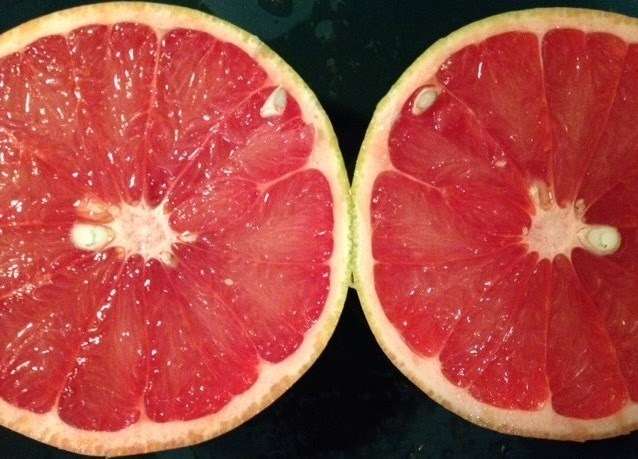 So lucky to have so many pink grapefruits - I love them very much, too. 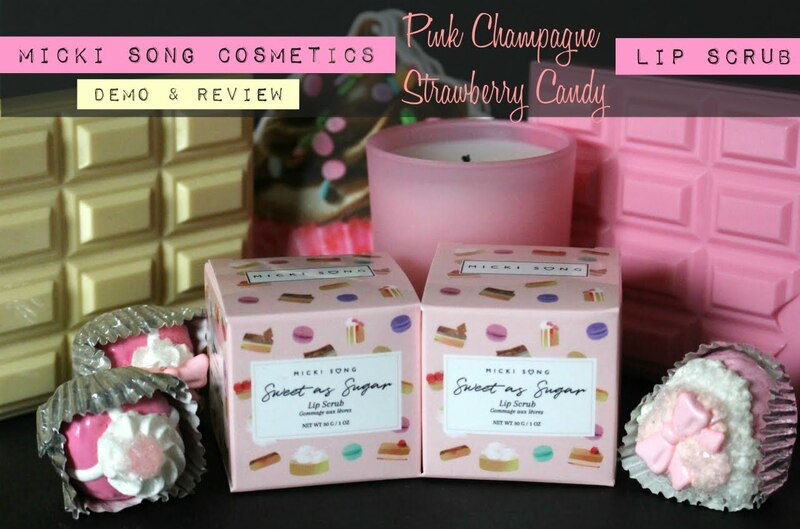 OHH how I adore these reviews. Stila is one of my fave brands of make up - you look great sweets, foundation does what it says on the tin. Grapefruit - hmmm maybe a bit to bitter (sweet:) for me - alas said that maybe I'll mix it with orange. If that foundation makes my skin look like yours I'm so getting it! Your skin looks so perfect :) !! Your skin looks radiant and beautiful. Have a wonderful weekend! I love pink grapefruit juice especially at breakfast time. What a lovely picture of you wearing your new foundation. Very pretty lipgloss too. Ever since I went to a Clinique beauty evening, where they did a mini tutorial, I have used a foundation brush - so much easier and a better finish. Hmmm, grapefruit and orange juice; it sounds so yummy! Much try that Stila eyeliner too. I haven't tried the liquid eyeliner but I use the Stila's eyeliner pencil everyday! I find liquid eyeliner so hard to apply. I have that eyeliner! It draws a pretty good line. Your skin looks gorgeous! I'll have to try out Urban Decay some time! I absolutely love grapefruit juice. I'm so jealous that you have so much. Ohhh that's a lot of grape juice ! and I have tried Stila and think they make really good products. I am actually looking for a mascara that works well. I have a Chanel one and it's quite dissappointing. Beautiful post, I loved reading it! I generally don't like grapefruit. I prefer pomelos but I think I might not mind grapefruit juice. You look beautiful Kim! That last pic is so sweet! I always enjoy your product reviews and your ranking system. I don't wear foundation but if I did I might check out UD Naked Skin. You sweet face, i must get that foundation ASAP Kim. I have been tempted to try but too hesitant to pull a trigger. It looks so flawless, well you alteady have a decent radiant skin but that compliments your skin even more. My skin is as dry and crack as a desert at the moment..sigh. Yum...grapefruit juice looks fantastic. I want to get some at grocery store after seeing yours. This past week i squeezed the leftover oranges manually with a mesh strainer and a spoon, luckily there were not that many. Perhaps i should buy a juicer...ha. I love pink grapefruit, but I never get to have it often enough. 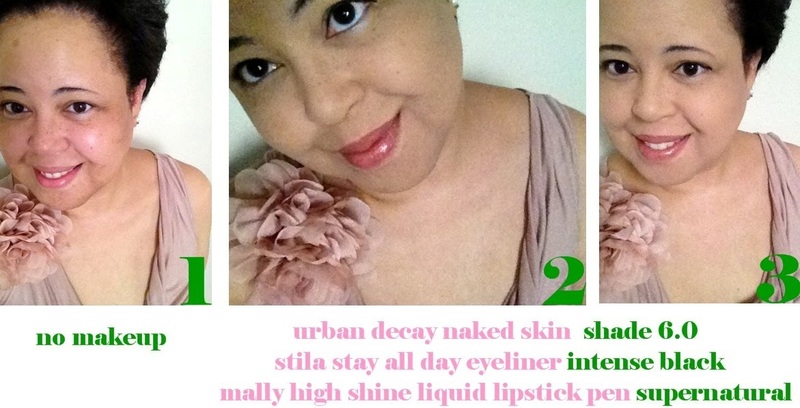 I've heard great things about the Urban Decay Naked line, I've got to get on that! 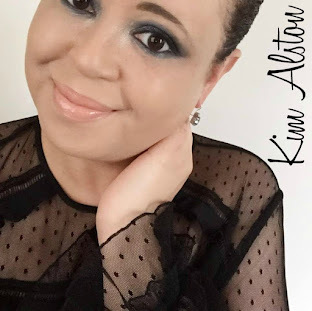 That foundation is great and I love the eyeliner too: you look like a doll and if the pictures have been taken after your illness, then your recovery is complete! Yum! I love grapefruit juice! AND it's freshly squeezed and pink?? Even better! :) Your friend is so nice to bring you boxes of them! lol! I keep wanting to try those two products. 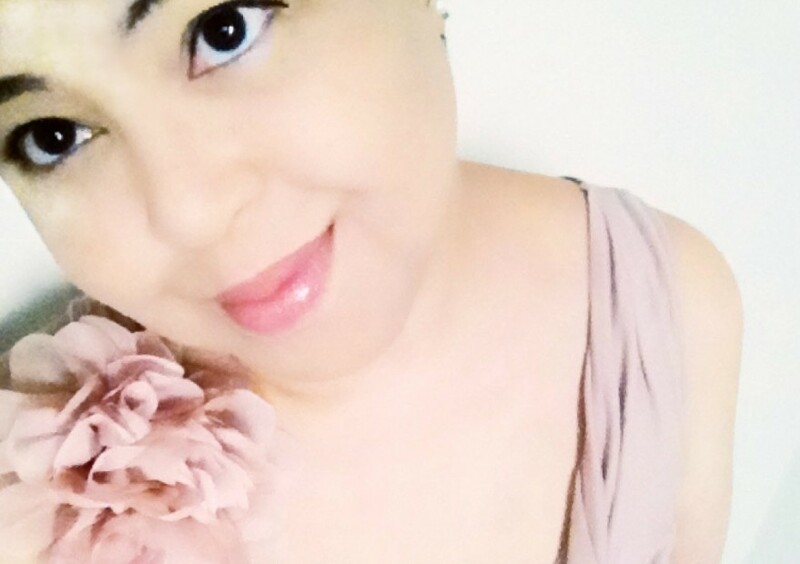 The Naked skin foundation and the Stila eyeliner. I did my friend's bridal makeup and she wanted me to use that Stila eyeliner on her and said it was amazing. I need to still try it! Oh my word, that's a LOT of grapefruits! Haha, looks like you'll be set for a while. whoa...look at all that juice! my friend distributes produce and brings me bags of fruit every so often...i LOVE it. we love fruit around here and it IS expensive! my sister got my parents a breville juicer for christmas! i have tried liquid eyeliner many times, but my technique is bad! i spend more time cleaning up my mistakes. i have since switched to gel! the naked skin looks great! Grapefruit juice is so refreshing! Lovely photos Kim:) Hope you have a good weekend! i've been admiring your new pics on twitter & instagram. 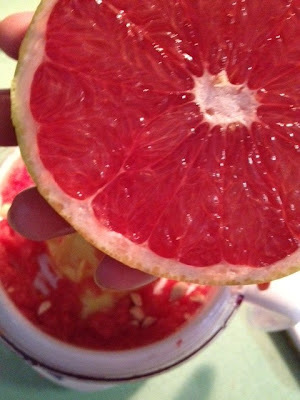 Would you believe - I've never had pink grapefruit before - its not a common produce here...but it looks so good! The foundation seems to work wonderfully, looks light and provides lovely coverage. You're so good with eyeliner!! Mine would have been in zig zags! wow that's a lot of juice! I've never had pink grapefruit before but looks pretty. Your skin looks so nice and even. And the liquid eye liner is fab on you. Kim, EVERYTHING looks so sweet! And you look gorgeous in the last pic! Love the makeup! When I try liquid eyeliner everyone knows as I'm so bad at it, haha! I love grapefruit! Great post! First of all I LOVE grapefruit, totally obsessed with all things grapefruit - recipes, drinks, perfume, body lotions! & I'm glad the Naked skin foundation is on your sweet list! I ordered it earlier last week and can't wait for it to arrive so I can test it out! That's a lot of grapefruit juice!! 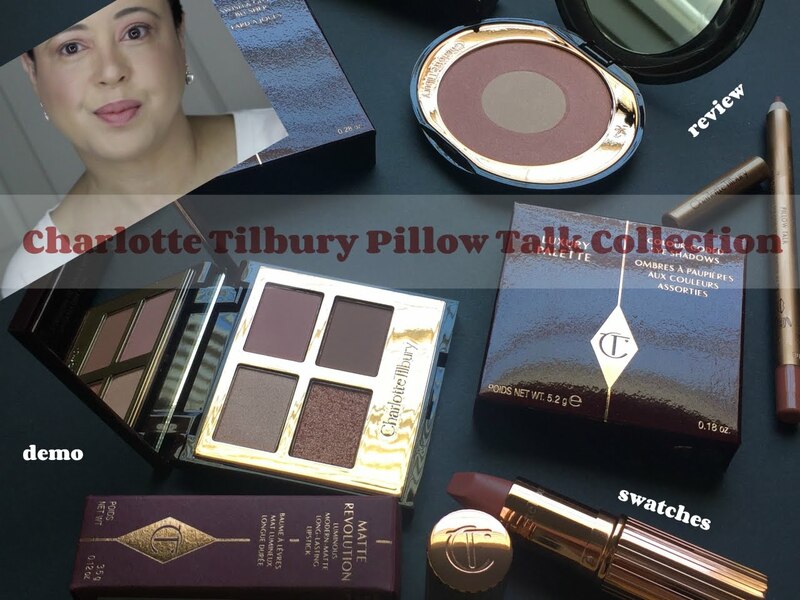 Love your makeup--so soft and girlie! 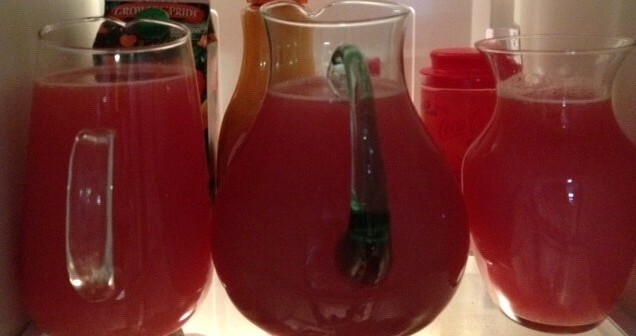 Your grapefruit juice looks delicious. I'll have to try mixing orange juice with mine next time. I'm adding that eyeliner to my shopping list, it looks amazing. you look so sweet!i recently bought a liquid lightweight foundation after reading good reviews..hope it is as good as this one.i use liquid eyeliner mostly but i use those wand like applicators you know what i mean?my friend got the lakme eye artist which was tipped like this and i always ended up applying too much with it resulting in a black eye effect. that much juicing my god!! I do love pink grapefruit, but I also have that thing for blood oranges too! The foundation looks incredible on you, wow! I've not worn a liquid liner in years, but this does look good. as mentioned on instagram this is my fave eyeliner! i find that it's the only one that lasts all day without going anywhere. i picked up sephora's draw the line sampler pack and tried a few other ones - urban decay's 24/7 came close but had a shiny finish :) eyeliner is the only makeup i wear most days so i've gotten used to putting it on. you look very sweet! Hi Kim ... first I have to tell you that your comments always (ALWAYS) make me smile! You always spread joy and happiness! Thanks for your lovely compliments on the NY tree theme .. it was fun to create. Wow the Naked has really great coverage and lol at all that juice!! Quite a story about all the grapefruit! WOW! the last photo of you is absolutely gorg! That grapefruit juice looks SO yummy! And I love the look of the eyeliner and makeup on you! I have stella pecil eyeliner that is good, I don usw brush for apllying foundation I prefer fingers.